I'm back at it, painting pet portraits! 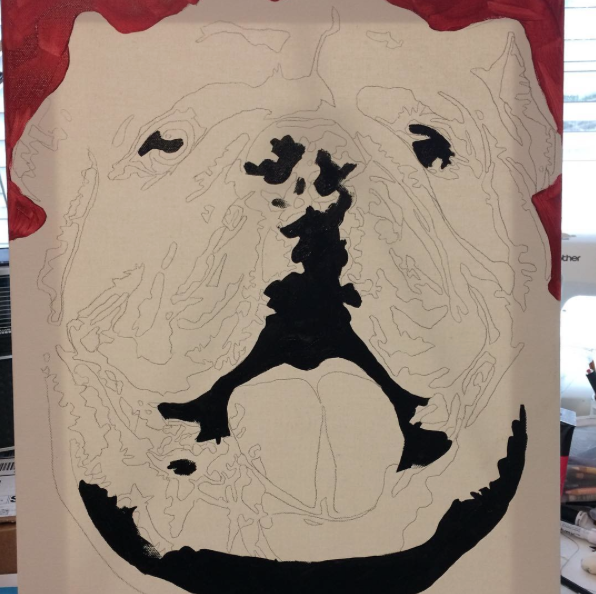 right now I'm working on a Georgia Bulldog. He's just in the beginning stages, but I'll be documenting his progress on Instagram. Also, I have a new obsession, and I think you're going to like it, too. The cooking website Tastemade had these tiny kitchen videos, and I'm sad I've already watched them all. Most of the videos are pretty short, but I couldn't find any of them on YouTube to embed. So, please watch the creation of these adorable tiny doughnuts. If you want to see more, you can visit the Tiny Kitchen page on Tastemade's website.